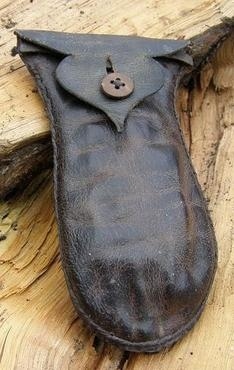 Hand-made natural leather pouch intended for a knife but suitable for many purposes. Measures 5'' deep with a neck 2'' wide. It is sealed with a flap secured by a Coconut shell button. Strongly stitched with waxed linen thread.